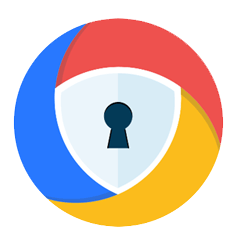 In this article, we are going to provide you information about the best and most secure web browsers of 2019. We have tested many browsers and picked for you most trustful and secure ones. The evaluation of web browsers was done by performing tests on security, performance, privacy. Also, we have been measuring user interface and popularity (market share), but those two variables are not influenced by the total rating. Bellow is the table with the browser evaluations results. Let's get down and read short reviews about each browser. You will find out interesting information you probably didn't know before and this article will change your opinion about browsers and their features. Google chrome appears as one of the most popular browsers in the market. It is so popular because of its great security features, good performance, and usability. Nothing strange that this browser had a significant user growth during the eight years. According to our sources, this browser takes around 70% of the market share. Google really works hard to keep this browser up to date and keeps trying to improve it every fifteen days. Moreover, you can improve this browser by downloading various security plugins and extensions. There are tons of useful plugins that you can add to this browser. We could say, that this browser has one of the biggest plugin databases. Power security tools which protect users from Phishing or dangerous sites. Everything would look awesome except one thing. We really didn’t like that google trucks your every single step on the web. All your browsing history is synchronized, so that means all this data goes to Google servers and it is kept for a long time. That’s why we are giving very law score for Privacy option to google chrome browser. Another great browser is Firefox. It is the second browser by popularity and market share after Google Chrome. Probably, many of you will agree that this browser is very user-friendly and easy to navigate. Comparing to Google Chrome, Firefox has a more user-friendly interface. Firefox also has one of the biggest plugin databases which can help with your everyday tasks. We have tested Firefox for two weeks and we have noticed one unpleasant thing. Firefox has a huge impact on system performance and slows down the PC. Sometimes it just freezes and it is difficult to understand why. From the first look, we were not doing any special tasks. We were trying to manage our website with content management system (cms) and it just stuck. Despite this, we are giving a high rate for this browser for its security. We were pleasantly surprised by its Phishing and malware protection. We have been visiting dangerous websites in purpose and many of them were just blocked. It means, that without an antivirus system you can feel safer that with a simple browser. 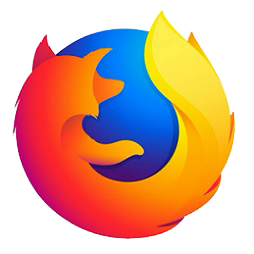 To summarize all the review, we could say that it is a very good browser, but Firefox should be working more on performance improvements. 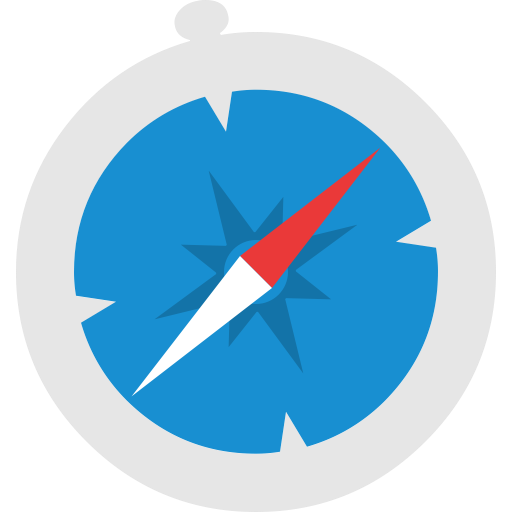 Safari browser is one of the favorites on MAC computers because it is built-in. This browser takes the fifth place in popularity after Google Chrome, Firefox, internet explorer and edge. We were testing this browser on MAC and Windows. Interesting fact, that performance of the browser differs a lot. We have decided to make browsers evaluation on the MAC version. Apple was criticized about buggy Windows version of that browser. They put many efforts to improve it, but finally, it is discontinued for Windows. Windows users also can install the older version of Safari browser for any testing or other reasons, but we think that is not worth. As we all know Apple is very serious about privacy and security, so the browsers are built very well for this purpose. We were visiting many dangerous websites and the browser did behave very professionally with the security issues. Build it security engine maybe is not that good as antivirus software, but it warns PC user about dangerous websites and malicious files. The user interface is very nice and we have no bad words for that. Browser is lightweight, the performance is great and our rating for this is also great. This browser is one of the kind and differs from the others. We have tried it the first time and it left a good impression on us. First of all, we would like to say that Tor Browser fits for those who need more privacy. It is because that this browser hides your IP and connection goes throughout other servers. Moreover, it is portable and can be launched from the USB storage device. It means that you can bring Tor Browser with you to office, school or library and unblock blocked websites. How cool is that? Also, it is worth to mention, that tor browser blocks trackers, encrypts your connection and hides your IP from surveillance. To our opinion, it is one of the best browsers on the market at this time and it’s free. How it is possible? The Tor software protects you by bouncing your communications around a distributed network of relays run by volunteers all around the world: it prevents somebody watching your Internet connection from learning what sites you visit, it prevents the sites you visit from learning your physical location, and it lets you access sites which are blocked. This browser is the younger brother of Internet Explorer. At the moment it is still a very popular browser as it comes to build it with the Windows 10 operating system. According to the popularity, it takes the fourth places in the table. We have been testing it for two weeks and we didn’t like it due to its instability. Many times browser just stuck or freeze. It looks modern, user-friendly, has many features and add-ons, but the performance is not that good. As we know, Microsoft is working hard to improve its internet browser, but its popularity is decreasing bit by bit. We could call it the fall of the card house. When you start not well, it is difficult to keep the user’s trust and popularity. We hope, that Edge will become better soon. Everybody will agree for 100% that this is the grandfather of all the internet explorers. So many versions have changed and at this moment it is officially discontinued. Microsoft ended to develop Internet Explorer three years ago and left only security updated for it. 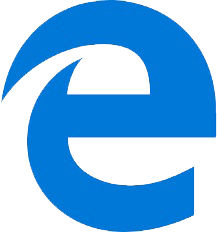 Internet Explorer was killed purposely because of the new Microsoft project – Edge. Internet Explorer is not build-in Windows 10 anymore, that’s why its popularity has dropped significantly. However, it is still very popular and is in third place of the table. We have tested one more time this explorer and the results are below. It was really nice to remember this explorer. All the user interface was so intuitive and familiar. Unfortunately, the security and performance of the browser are not that good comparing to the opponents. New product in the market and getting more and happier users. We have tested it the first time and it left a very good impression on it. After the three weeks of testing, we noticed that security features work just fine. All malicious files were blocked immediately. Another feature is that the browser blocks all the trackers and blocks adds. Bank Mode – hides all the data you are entering in the websites. This browser is built for privacy by security experts and has all the most necessary features for that. Browsing speed is much faster than opponents. We found Avast secure browser fast, private and secure. 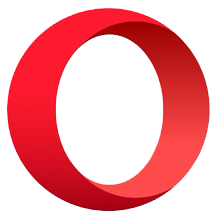 Opera browser is considering to be in a top5 popular browser list. Its popularity has increased rapidly after they have implemented a free VPN feature in it. Since then, many users have switched to Opera, because their VPN service works just great as the paid one. We have been testing it for one month and we could say that this browser is really not bad. Security features maybe are not the best, but it is enough if you are using antivirus software. Performance is average, sometimes browser stuck and freeze. But despite that VPN service works great and payoffs that small security and performance minuses. To summarize it is average browser for those who care about their privacy online. This browser also is called Dragon Internet Browser. It is a fast and versatile Internet Browser based on Chromium, with the highest level of security. For those who don’t know what Chromium is, we will remind shortly. 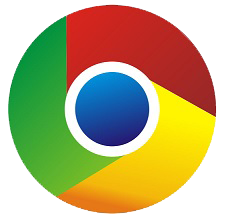 Chromium is a technology-based on all of Chrome's features. 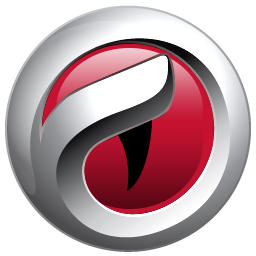 Comodo remastered it and added an increased level of security and privacy. Also, it has an improved level of privacy than Chromium technology offers in a basic version. Epic privacy browser is also built on Chromium engine and looks the same as google chrome. Moreover, all the updates are coming the same as in google chrome. Similar to TOR browser it also works for privacy. It blocks advertisements, encrypts your connections and removes web cache. The manufacturer says: The world's only private and secure web browser blocks ads, trackers, fingerprinting, crypto mining, ultrasound signaling and more. Stop 600+ tracking attempts in an average browsing session. Turn on network privacy with our free VPN (servers in 8 countries). We have been testing it for two weeks and the results are listed below. Another trusted way to improve your browsing exerience is to use a VPN service. There many various VPN service providers, but we have picked for you the best one. So there is the list of the best VPN service providers for safest browsing and privacy experience. As you can see from our list of browser evaluation, you can clearly see that the most popular browsers are not the best browsers from the prospect view of security. If you have found your favorite browser in the table with low protection rate, we would recommend improving the browsing experience by using VPN service. Thank you for reading and good luck! ^ Google. Get more done with the new Chrome. Google Chrome. ^ Firefox. The new Firefox. Firefox. ^ Apple. Safari. The best way to see the sites.. Safari. ^ The Tor Project. The Tor Project. Tor. ^ Microsoft. The faster way to get things done on the web.. Microsoft Edge. ^ Wikipedia. 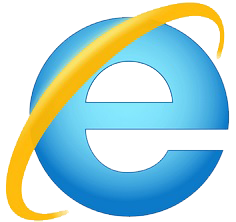 Internet Explorer. Internet Explorer. ^ Avast. 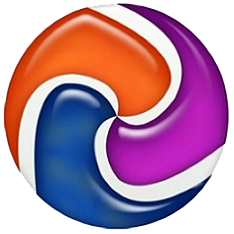 Avast Secure Browser. Avast Secure Browser. ^ Opera. Our choices reflect who we are. Opera. ^ Comodo. Secure web browser. Comodo secure browser. ^ Epic Privacy Browser. What is Epic privacy Browser?. Epic Privacy Browser. 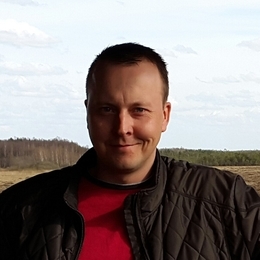 This entry was posted on 2019-04-15 at 01:39 and is filed under News.